All images the property of Lakewood Brewing Company. It's been six months since Bokkenrijders rode into town as the fifth beer in the Lakewood Brewing Company's Legendary Series, but the drought is over (irony, given the recent rains locally) as the brewery has announced that the newest entry in that limited edition line will be called Saint Dymphna. Saint Dymphna pays tribute to the patron saint of Geel, Belgium, the hometown of Lakewood founder Wim Bens. Knowing that, it's no surprise to learn that this Legendary release may be the one that Bens holds closer to his heart than any other. "Saint Dymphna, known as the Lily of Ireland, had kindness and beauty that knew no match. In her youth, fleeing lecherous looks, she escaped to Geel, Belgium, where she devoted her life to helping the mentally ill. Unfortunately, her no-so-stable father tracked her down and insisted she return with him. She refused and was martyred instead, becoming the Belgian city's patron saint." According to Bens, part of this history played out in what is now the backyard of his grandmother's home in Geel. The chapel of Saint Dymphna stands near an ancient linden tree where Bens played as a child. That nearly 500 year old tree influenced the addition of linden flowers to Saint Dymphna, the beer, which will be a Belgian-style tripel with an ABV of 8.6%. "The linden flowers add a slight tea-like lemony character to the beer which complements the Belgian yeast and Belgian candi sugar we use in the beer. It's strong, yet light and full of conviction, like the fair Saint Dymphna." 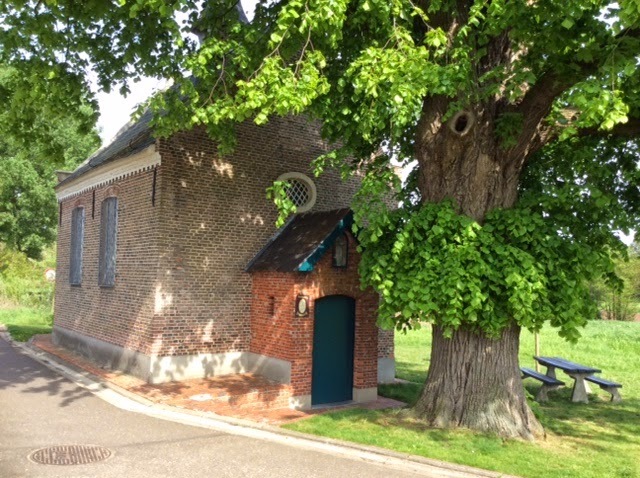 The chapel and ancient linden tree that inspired the beer. "My grandmother 'ons Moeke' lived in Zammel near Geel right behind the St. Dimpnakapel. I spent a lot of time at my grandmother's place growing up and playing around the little chapel," Bens recalled in a recent story in Geel's local newspaper. "We would take daily walks to the big linden tree in front of the chapel and my grandmother would tell me stories about the saint." As it turns out, the town of Geel puts on an event known as Ommegang (elaborately choreographed procession) honoring Saint Dymphna every five years. This year, it happened in early May, right around the time Lakewood began packaging the beer. 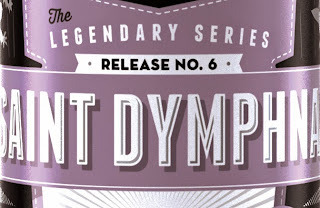 Commenting on how everything came together, Bens said, "Saint Dymphna is a legend I've always had on my mind since the beginning of the Legendary series. The release of this beer in conjunction with the Ommegang celebration is pretty special." According to a press release, the beer will be rolled out to local bars and restaurants on June 1, with 22-ounce bottles arriving at retail in the days and weeks to follow. 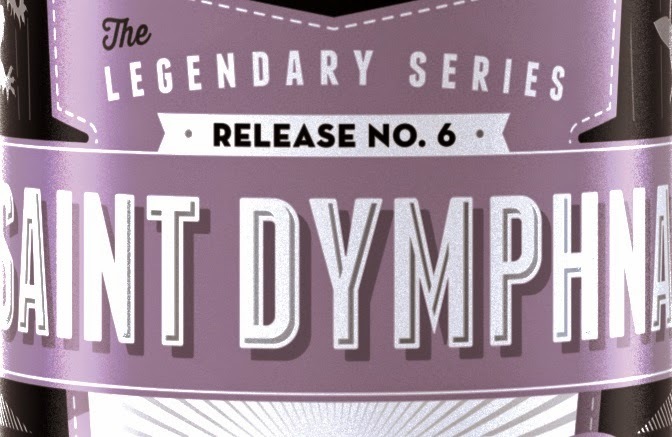 Prior to that, Saint Dymphna will be on tap at the brewery during taproom hours beginning on Saturday, May 30.